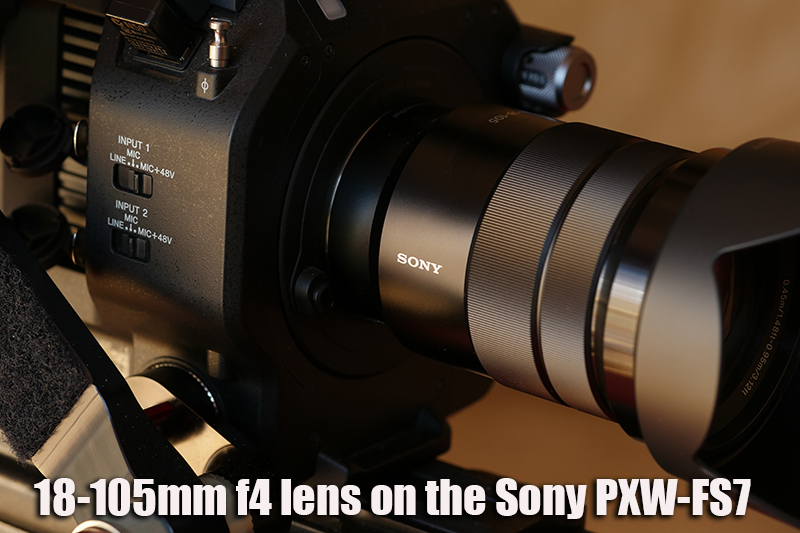 After updating this lens on my FS5 I tried the Sony 18-105mm f4 lens on my FS7 this morning and it works even better than before after the FW upgrade…But hot off the press is the dilemma for FS7 owners who own this lens…I find it astounding that Sony have left so many FS7 users with this lens with no answer. I am reposting this because I do feel Sony have a duty to reply to this question. I did put this question to Sony ICE expert Alister Chapman who told me “You would need to beg, borrow, scrounge a Sony E-Mount stills camera. Anything from an NEX3 to A7 would do.” So I assume the FW is not camera dependant in other words you can update the FW from the same camera time and time again. Due to the recent earthquake Sony have written to all their UK suppliers telling them that as from immediate effect on line supply information for some categories will be temporarily subject to increased change. This is due to the impact of the recent earthquake in the Kumamoto area and a temporary interruption of the supply information from Sony, Japan. The same thing happened during March 2011 and caused an almost catastrophic loss to video supplies the last time. 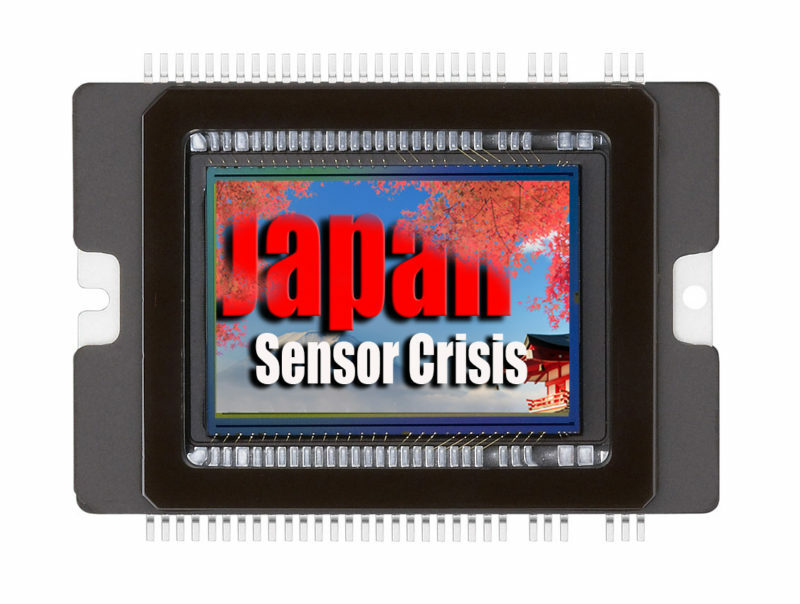 No one knows if its just Sony thats affected this time but you can be sure if it uses a Sony sensor supplies are already running thin. Q. How does this affect the UK…Simple less Sony kit to sell from DSLRs, mirrorless and camcorders across the range. The CAME-ACCORDION features an extending scissor arm that puts the camera right where you need it. 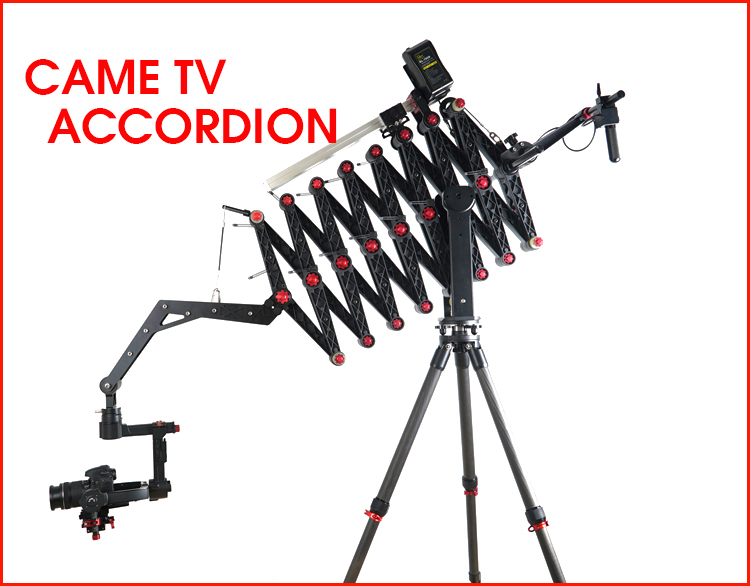 The accordion motion allows the arm to extend 4.7 Meters (15 feet) out and then retract back in. The drive is powered by a V-Mount battery (Not included) and is controlled by a rocker switch. The max payload is 15Kg (33 lbs) and works well when paired with our Argo, Prodigy or Mini 3 gimbal. These gimbals can be remote controlled with the Bluetooth joystick providing control of the camera. The kit weighs in at 35kg (77 lbs) and includes the crane, tripod, wheels and aluminium cases…Not the lightest kit I may add. CAME Accordion – Get Your Camera Where You Need It from cinema5D on Vimeo. 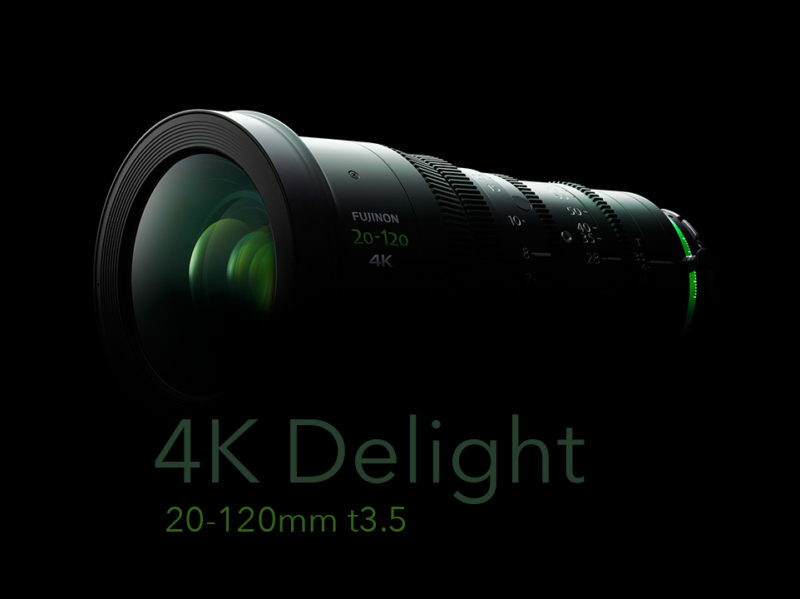 Watch the video in YouTube at 1080..the lens is priced at $18,200. The video below does not do the lens justice in my opinion. I know only too well how much time is lost during a shoot changing prime lenses when one decent 4K zoom would cover a larger variety of shots. The only reason we are forced to use prime lenses on a drama shoot is quality. A zoom lens up till now usually does not hold the same quality throughout the range as does equivalent prime glass at certain focal lengths. T or f stops in primes are usually better like t1.3 rather than t3.5 as seen in the fujinon lens, but with todays fast sensors I could live with t3.5. Simon being a fully qualified drone pilot gives us his thoughts on the new hexicopter from DJI the M600. Simon “DJI have once again made huge advancements in the field of 3 Axis brush-less gimbal systems, with the announcement and showcasing of their new Ronin-MX Gimbal System and the Matrice 600 hexacopter. The Ronin-MX is a highly adaptable gimbal system, with the functionality to be used as both a stand alone handheld unit and with heavy lift areial platforms. The new Ronin-MX features more powerful motors than the current Ronin-M unit, allowing for the stabilization of heavier payloads of around 4.5kg, cameras in the weight range of Arri Alexa Mini and Red Dragons. (suited to a payload capacity between the Ronin and Ronin-M, and so is not so much a replacement for the Ronin-M but more an intermediate between the two) these improved motors also allow the unit to counter increased G-forces during flight, and features two batteries. The first designed to power the gimbal unit itself and the second to power the camera mounted to the system. 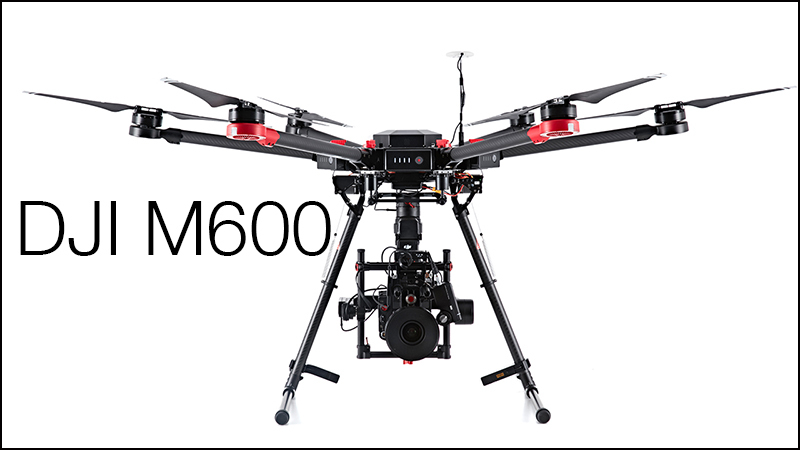 The Matrice 600, the latest competitively priced Hexacopter from DJI and in keeping with their innovation for aerial cinematography integrates seamlessly with the Ronin-MX, capable of taking paylods up to 6kg, with a flight time of betwen 16-36 minutes, (depending upon payload) provided by 6 high powered intelligent batteries that not only provides increased flight time but increased insurance against battery failure. This new Hexacopter and Gimbal set up, leaves us questioning will DJI do away with their current camera specific Zenmuse gimbals for heavy lift drone such as the S900 and S1000”. In addition to the Ronin-MX and Matrice 600 DJI also unveiled a series of new Osmo accessories, including the Z-Axis a stabilization system compatible with the Osmo’s X3 and the X5 camera to remove and significantly reduce vertical shaking from natural arm movements when walking or jogging. As well as the much anticapted X5 adapter, allowing use of the DJI Micro Four Thirds X5 camera with the Osmo system. 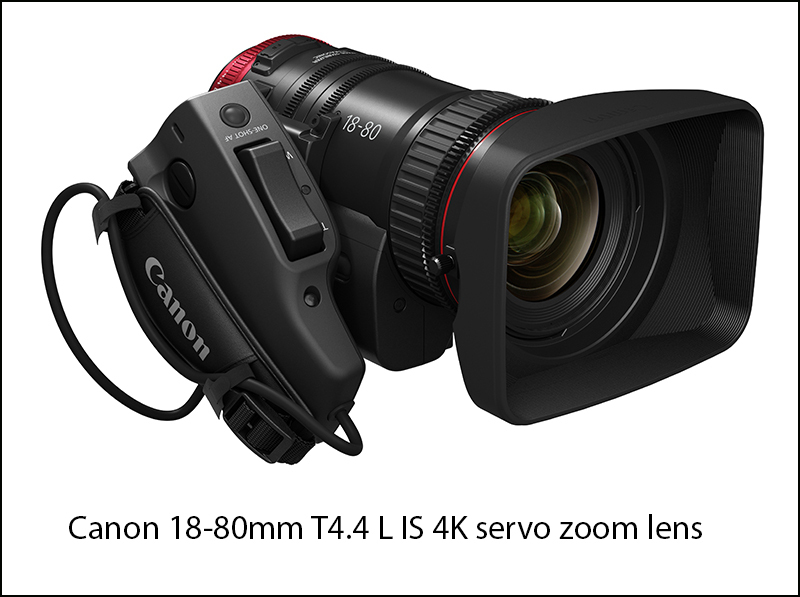 Number one has to be this new 18-80 from Canon a company who listens to its customer base bring out a badly needed servo zoom lens for large sensor cameras like the Canon C300 Mk11 or the Sony FS7 with Canon adapter. 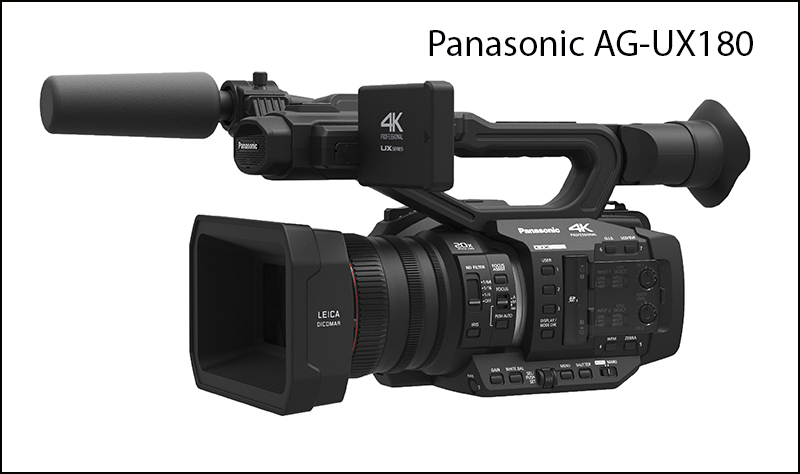 Another well designed 4K camcorder from Panasonic the AG-UX180 with its 20x servo zoom lens. 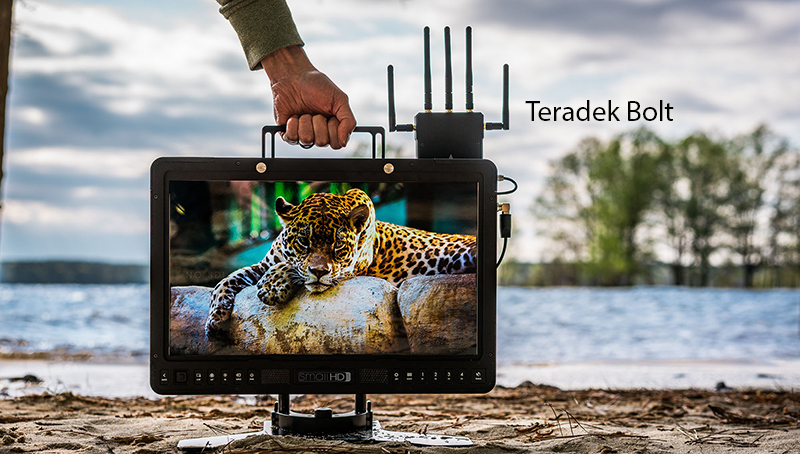 Lastly the new HDR monitors from smallHD, they look a cracking piece of kit at a cracking price. The Jib PLUS from Edelkrone works from any jib and as you can see it will focus on the given subject that you target before shooting and it will also focus your camera…brilliant. 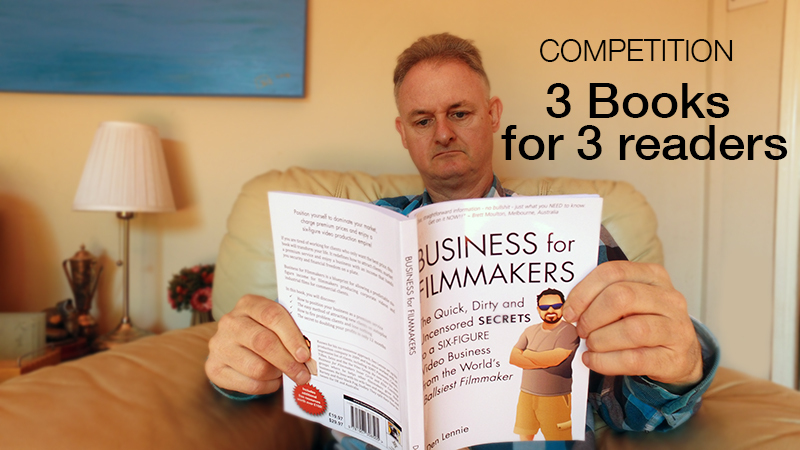 While my own business is on hold, it gives me time to read and review Den Lennies book “Business for Filmmakers”. So far I have found it fascinating and very informative. Den has very kindly given me 3 books worth £60 in total to give away when I produce a review of the book, so look out for the review coming soon. Easy Rig mini and the new Vario Strong. 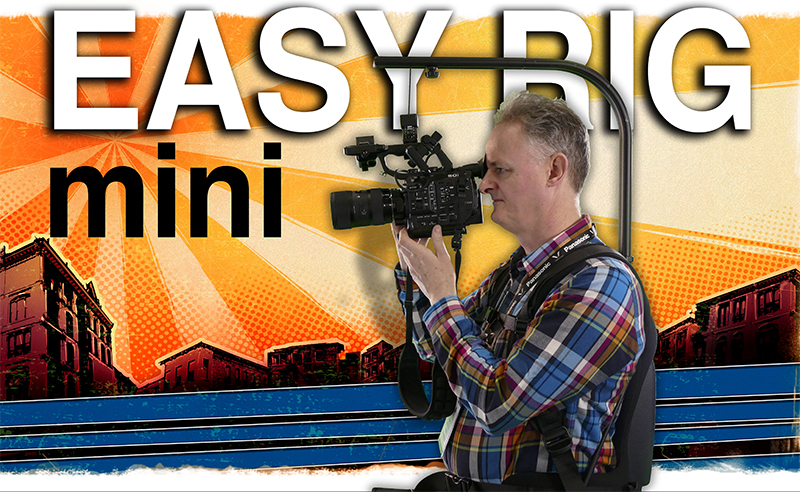 I produced a video for Production Gear at BVE about the Easy Rig mini, which is a great tool for keeping the weight off your arms holding a smaller video camera like my Sony FS5. 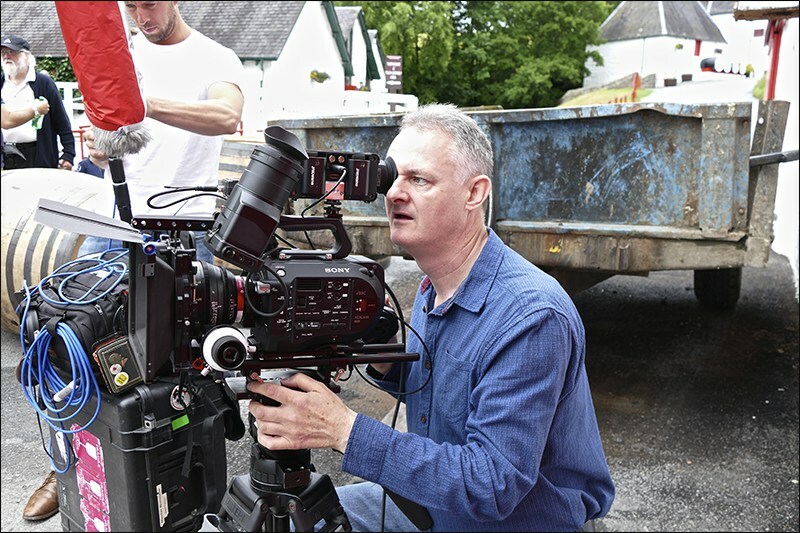 Simon has produced a video from NAB about the latest Easy Rig Vario Strong for larger cameras like the ARRI cameras.